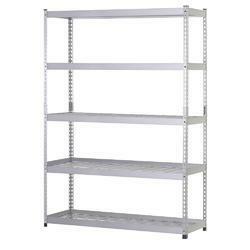 Manufacturer of a wide range of products which include steel shelves. Our Steel Shelves are specially designed by the expertise to fulfill various storage requirements of different industries. These Steel Shelves are supervised by using the various parameters to ensure the effective quality.